Oats are a cool-weather crop that can tolerate light frosts but is usually killed by temperatures below 5F (-15C). None generally needed, especially when oats are grown with nitrogen-fixing cover crops such as winter peas, winter beans or hairy vetch. Sow in late summer to grow a cover crop that forms its own mulch when it is winterkilled, or when using oats as a companion crop for slower-growing legumes. Oats also can be grown as a spring cover crop to increase soil organic matter. Broadcast seed into cultivated soil so that the seeds are about 3 inches (7 cm) apart and one-half inch (1 cm) deep. No thinning is required. Increase spacing to 8 inches (20cm) apart when growing oats with other cover crops. 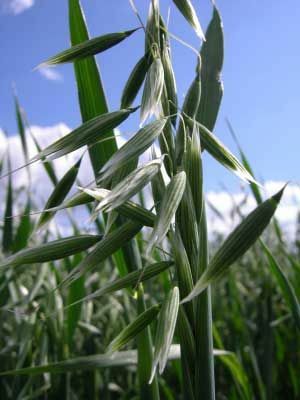 Oats are an ideal late summer cover crop where winters are cold enough to kill it; the dead residue forms its own winter mulch, which is usually well rotted by spring.